For many managers, the word strategy conjures up thoughts of gigantic PowerPoint decks, unused plans in binders collecting dust and general confusion. A survey by the Rotman School of Management found that 67 percent of managers believe their organization is bad at developing strategy. Harvard Business School professor David Collis is even more direct: "It's a dirty little secret: Most executives cannot articulate the objective, scope and advantage of their business in a simple statement. If they can't, neither can anyone else." Rotman's research supports this point: 43 percent of managers cannot state their own strategy. Think about your team: Can each and every member articulate the strategy? Is each person's version the same? If not, how can you be sure that what people are working on today actually matters? My research with 500 managers at 25 companies identified the top 10 strategy stoppers and the frequency of each by company. As you read through the stoppers, jot down which of them you see in your group and note the tips to go around them. 1. Time 96%: Most performance reviews don't include a big box stating, "Thinks strategically for six hours a week," with the rating of "Exceeds Expectations," marked in it. With more responsibilities and fewer people to handle them, many managers are overwhelmed with activities at the expense of thinking. While checking lots of tasks off a to-do list each week may foster a sense of accomplishment, as 10-time national champion basketball coach of UCLA John Wooden said, "Never mistake activity for achievement." If the individual tasks aren't strongly supporting the strategy, then we may fall into the trap of activity for activity's sake. Go: Set an appointment in your calendar for 30 minutes of "think time" each week. 2. Commitment (buy-in) 72%: If the people expected to execute the strategy aren't aware of it, or don't understand it, then commitment will be non-existent. According to a study out of Harvard Business School, a shocking 95 percent of employees in large organizations are either unaware of or don't understand their company strategies. If leaders fail to explain strategies, don't share why they are in place, and miss the opportunity to translate them to people's respective work, the level of commitment will be minimal. Go: Engage your team in regularly scheduled strategy conversations and do NOT let these sessions devolve into operational or tactical issues. 3. Too many priorities 60%: When everything is deemed important, it creates an over flowing-plate syndrome. If clear priorities are not established up front, then it becomes difficult for people to determine what they should be working on and why. Too many priorities are a red flag that you don't have a strategy. Strategy acts as a filter due to trade-offs. Good strategy requires trade-offs, which in turn help establish priorities by filtering out activities that don't contribute to the achievement of your goals. If a team is working on too many priorities at once, their leader should be transferred to the cafeteria in a food server's role where piling more and more things on someone's plate is acceptable. Go: Meet with your team, record all of the activities they are involved in and then prioritize the top 3-5. Emphasize that everything else gets deprioritized. 4. Status quo 56%: When people change strategy, inevitably they are changing the allocation of resources, including how people invest their time, talent, and budgets. Since strategy involves trade-offs, certain people will be gaining resources and others losing resources. Obviously, those slated to lose resources are going to prefer to keep things the way they are. However, changes in market trends, customer value drivers, and the competitive landscape may be making the current strategy obsolete. In leading a revival at Starbucks during his second stint as CEO, Howard Schultz said, "We cannot be content with the status quo. Any business today that embraces the status quo as an operating principle is going to be on a death march." Go: Reallocate resources on a monthly or quarterly basis to feed successful initiatives and actively pull the plug on underperforming ones. 5. Not understanding what strategy is 48%: Even at the highest levels of organizations, confusion abounds as to what exactly is a strategy. In reviewing hundreds of plans a year, I've seen strategy mistakenly interchanged with mission, vision, goals, objectives, and even tactics. 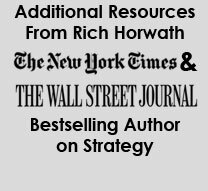 Failure to provide managers with a universal definition of strategy leaves the term open to interpretation, creating ineffective plans and inefficient communication. UCLA professor Richard Rumelt describes the problem this way: "Too many organizational leaders say they have a strategy when they do not. ... A long list of things to do, often mislabeled as strategies or objectives, is not a strategy. It is just a list of things to do." Go: Provide each manager with a 3" × 5" notecard at your next meeting and ask each person to record their definition of strategy along with an example. Collect the cards, read them aloud to the group, and tally the number that defined strategy in the same way. 6. 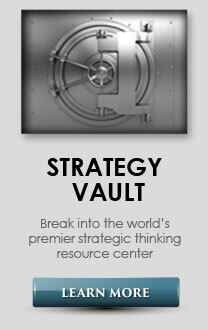 Lack of training/tools for thinking strategically 48%: Many managers aren't considered strategic simply because they've never been educated on what it means to think and act strategically. Research has found that 90 percent of directors and vice presidents have received no training to become competent business strategists. 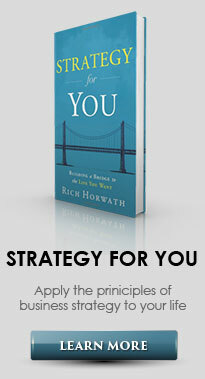 As former Procter & Gamble CEO A. G. Lafley said, "There simply is no one perfect strategy that will last for all time. There are multiple ways to win in almost any industry. 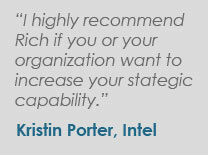 That's why building up strategic thinking capability within your organization is so vital." 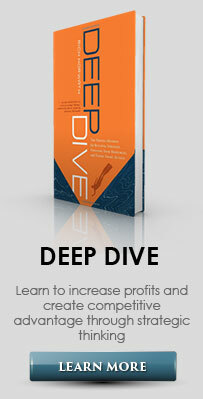 Go: Calculate the amount of money the company invests in tactics and spend half of it on strategy education and tools. Stop complaining that your people are too tactical if all you spend your time and money on is tactics. 7. Lack of alignment 48%: Getting people on the proverbial same page is difficult when it comes to strategy. The challenge lies in the fact that different groups within the organization have their own goals and strategies. Sometimes they align with others, but often times they don't. When there is misalignment, power struggles erupt and instead of working with one another, managers from different areas work against each other to ensure their priorities take precedence. Go: Facilitate strategy conversations with the other teams you need support from and find common ground on the goals that each is trying to achieve. Once the common ground on goals is identified, strategies to align can be created. 8. Firefighting (being reactive) 44%: A fire drill is the collective overreaction to an urgent issue or event that is unimportant to the team's goals. Fire drills consume a disproportionate amount of resources relative to the other goal-related activities that people should be focused on. While they may induce an adrenaline rush and momentary excitement, they distract people from the real work that may appear mundane in comparison, but is significantly more important to the organization's long-term success. Go: The next time you receive an e-mail marked urgent or someone comes charging into your office with how to react to a competitor's activity or a new flavor-of-the-month project, reply with "Let's think about that." Then stop and consider how this helps you achieve your goals and supports your strategic focus. 9. Lack of quality/timely data 36%: Managers who aren't receiving timely, high-quality information and data regarding the key aspects of their business are going to be hindered in their ability to think strategically. A study showed that 62 percent of workers cannot make sense of the data that they receive. Without methods for understanding, categorizing, and sharing insights based on good data, managers at all levels will continue to struggle with generating new ways to achieve their goals and objectives. Go: Assess data for accuracy and timeliness before using it to develop strategy. 10. Unclear company direction 32%: It's difficult for managers to set strategy if there isn't clear strategic direction at the business unit and corporate levels. Clear direction can be captured in a framework I developed called the Strategy Scaffold. The Strategy Scaffold has three planks: Purpose, Business Model and Plan. Purpose identifies your mission, vision and values. The Business Model identifies your core competency, capabilities, value chain and value proposition. The Plan concisely captures your goals, objectives, strategies and tactics. If any of the three planks are missing from your business, you will eventually fail. 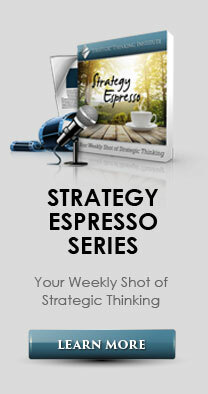 Great strategy doesn't magically emerge from Excel spreadsheets or elaborate PowerPoint decks. It comes from managers who can think strategically. 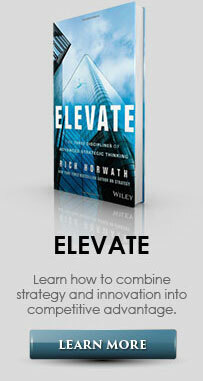 It inspires confidence in direction and creates competitive advantage. Most important, great strategy is developed by great strategists. Are you and your team great strategists?